The proposed completion of QM theory, with the new non-probabilistic equations and a new mathematical basis for the deterministic quantum mechanics is presented here as a conservative extension of the Standard QM by 3-dimensional (of rest mass energy density) elementary particles. This theory can reshape our view of the quantum world, allowing us to include also classical gravity and to answer some of the deep unresolved questions at the heart of quantum mechanics. This new theory of particles is a constructive approach, alternative to the string theory. Thus, it avoids the infinitary problems of the inverse square for gravitational and electric forces, and may be used as a formal basis for Einstein’s unification theory. 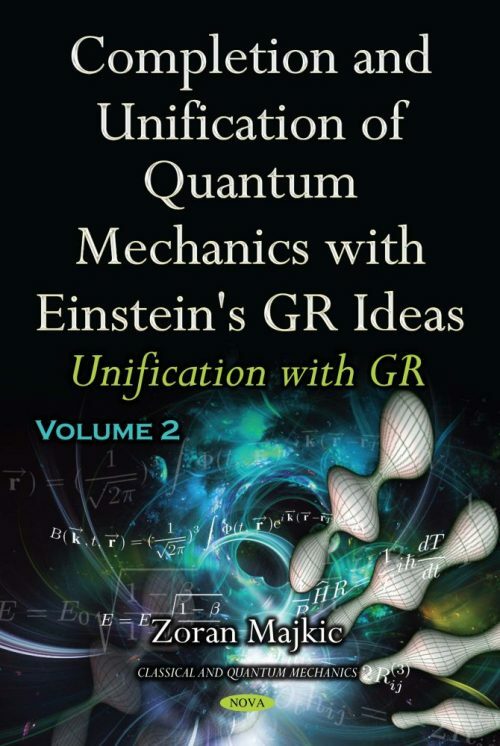 This second volume is the continuation of Part I and is dedicated to its unification with General Relativity (GR) and with higher dimensions used for the particle’s properties, such as electrical charge, spin, colors, etc.